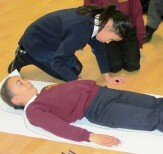 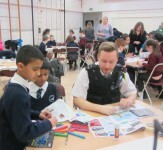 Around 100 Year 5 pupils from five south Hillingdon primary schools participated in an excellent Community Cohesion Day. 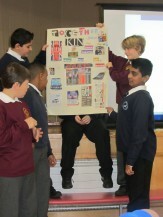 We are delighted to publish photos from that day. 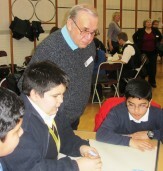 The pupils participated in small teams, each drawn from several schools. 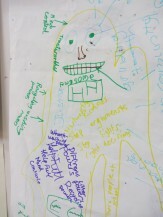 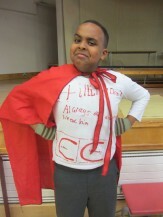 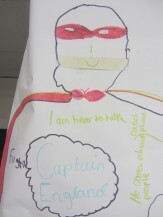 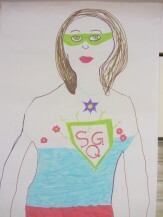 Each team created a superhero as the culmination of their days collaboration. 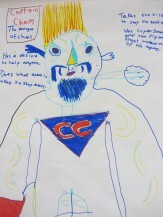 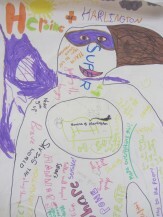 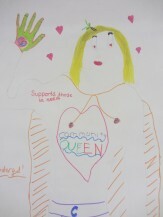 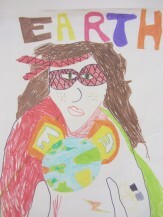 The pupils designed and drew life-sized these superheros, champions of their community. 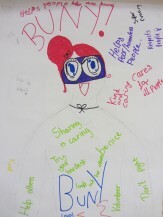 The activities themselves saw them defining community, saying what mattered to them about community and interviewing workers from the community. 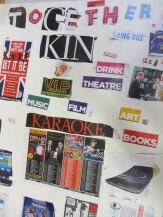 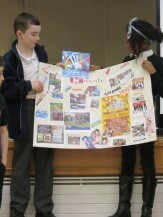 They developed “mood boards” to present. 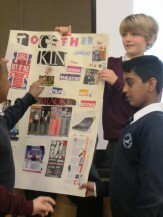 The day was led by staff from Harlington School, facilitated by staff from each primary school and hosted at Harlington School. 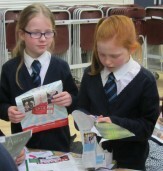 But it was the community involvement and enthusiastic participation and collaboration from primary pupils that made it such a success.